The Royal Dental Hospital of Melbourne (RDHM) provides general, specialist and emergency dental care to all eligible Victorians. RDHM is a teaching hospital. This means that you may be treated by a variety of dental professionals, including students, specialists in training or other qualified staff. What hospital level should I go to? 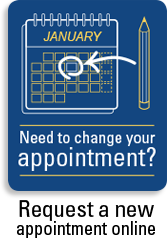 Reduce your waiting time - call first to make an appointment. Did you know that dental treatment is free for eligible Victorians at teaching clinics, and waiting times are usually shorter? Please go to our free care by dental students page for further information. We acknowledge the traditional custodians of Australia and we welcome all Aboriginal and Torres Strait Islander peoples to our service. Train: Melbourne Central is the closest train station to the hospital. Tram: From Melbourne Central, catch a tram up Swanston Street towards the University of Melbourne. Tram numbers 1, 3, 5, 6, 8, 16, 64, 67 and 72 travel past the hospital and you need to get off at tram stop number 1 for the hospital. For more information call 1800 800 007 or visit www.ptv.vic.gov.au. 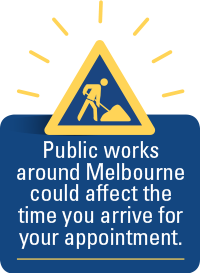 Meter parking is available on Swanston Street, Grattan Street and Cardigan Street. Time limits vary from one to two hours. The closest commercial car park is on the corner of Grattan and Cardigan Streets. Disabled parking spaces can be found on Lynch Street. There are four bays for RDHM visitors. Please note: Gates that provide access to Lynch Street are open weekdays between 6:30am and 6:00pm, but are closed at all other times including weekends and public holidays. 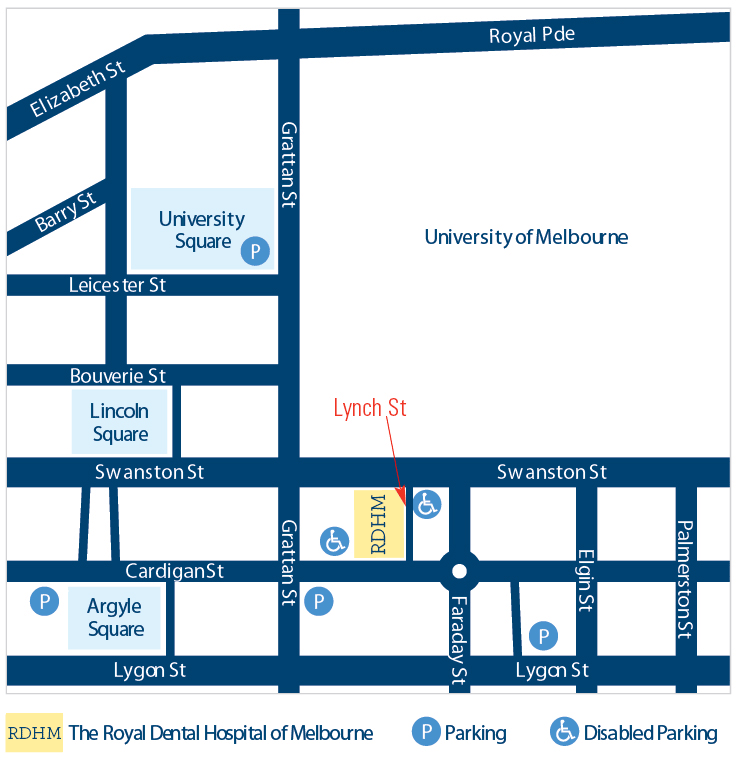 Alternative disabled parking bays are available on Cardigan Street and on the University of Melbourne side of Swanston Street, just north of Grattan Street. Two five-minute drop off spaces are also available on Swanston Street, near the entrance to the hospital. People with wheelchairs and prams can enter through the main entrance on Swanston Street. There is also a ramp at the Lynch Street entrance. An accredited Changing Places toilet is available for hospital visitors and the general public. This toilet is located on the ground floor opposite the reception desk. It features a height-adjustable change table, tracking hoist system, circulation space, a shower and a centrally placed toilet with room at either end for carers. 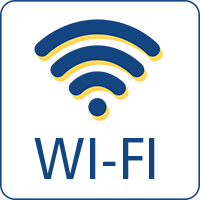 The Royal Dental Hospital of Melbourne provides free Wi-Fi internet for all patients and visitors. Look out for the posters in our waiting rooms and reception areas for information on how to connect. Emergency and general dental services for children and adults, provided by students under the supervision of senior dental professionals.